A Chinese lander destined for the far side of the Moon - the side that always faces away from the Earth - has now entered lunar orbit, Space News reports. Early Wednesday morning, the spacecraft carrying the Chang`e-4 lander completed its journey from Earth, which took nearly five days, and settled into an elliptical orbit around the Moon. 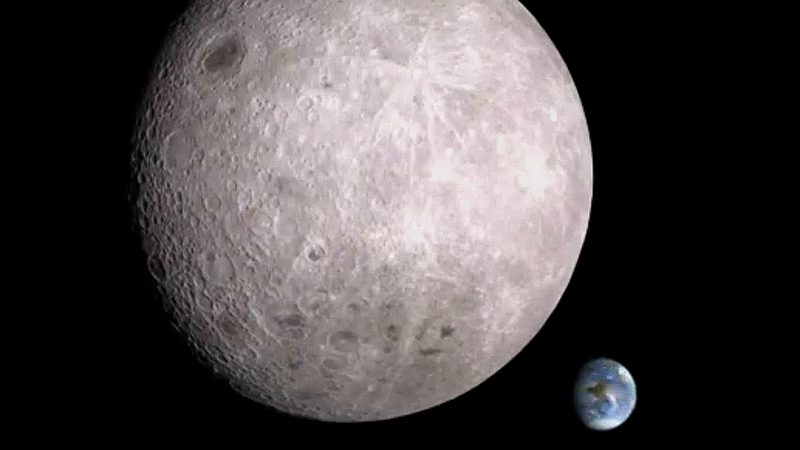 If the mission is successful, Chang`e-4 will be the first-ever lander to explore the so-called "dark side of the Moon". It`ll rove the lunar surface, examine the Moon`s composition, and even dabble in amateur gardening with a small pod that`ll grow seeds and silkworm larvae. To communicate with the Earth, Chang`e-4 will bounce signals off a relay satellite launched earlier this year. Chinese officials haven`t announced a firm date or location for the craft`s landing, but it`s expected to touch down in early January 2019, probably in the spacious Von Kármán crater. China is already planning Chang`e-5, the mission to come after Chang`e-4. If all goes according to plan, that will be China`s first Moon mission to return samples back to Earth and it`ll launch in late 2019.